In my opinion one of the finest records to emerge from the Crosby, Stills, Nash, and Young collaborations, David Crosby and Graham Nash's debut album is an eclectic mixture of experimental songs, melodic pop, and vocal light and shade. This week in the rock room the album is in constant rotation and the music is starting to seep into the walls. My turntables needle cradled by its deep grooves, the record takes another trip on a musical merry go round into the past. 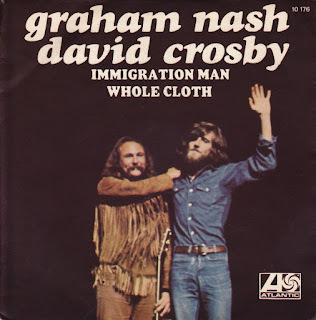 Released on April 5, 1972 the Graham Nash/David Crosby LP features a host of the duo's musical partners in crime such as Jerry Garcia, Phil Lesh, David Mason, Leland Sklar, and Danny Kootch highlighting their skills on the duo's original compositions. Found in the era where CSNY had broken up and was off recording their own albums separately, and rock music in general was moving from a less homegrown or psychedelic sound, to a more glamorous punk and artsy spectacle. This record stands alone on its own original merits. As unique as its creators, there is mystery found in every nook and crannie. The dedication found on the inside of the LP jacket reads, "To Miss Mitchell". 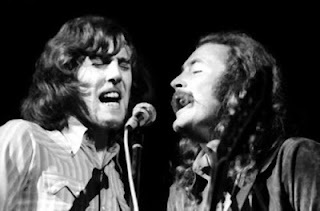 The LP unfolds with the Graham Nash song, "Southbound Train" a light folky number teetering on the edge of waltz, featuring Jerry Garcia's tasteful and soaring pedal steel work, as well as Nash's melodic harp blows. Rock history says that when the song was played for fellow comrade Bob Dylan at a meeting before the songs release, Dylan's reply was, "Can I hear that again?". Nash took that as a tremendous complement, as well he should. One of Nash's greatest tunes, the song uses images of the "Southbound Train" to elicit the feelings of leaving for war, defending your country, and contemplating why any of it matters anyway. Crosby's harmony vocals are smooth as butter on toast, and feel like slipping into a velvet robe after a a shower,enveloping the listener. The following track is Crosby's "Whole Cloth" a syrupy dirge, based around church bell chiming piano chords that leave ghostly and spectral overtones. The band on this track features members of the future Crosby/Nash touring band, Danny Kootch, Craig Doerge, and Leland Sklar. The song like many Crosby compositions contains an avant garde edge, and plays in perfect contrast to Nash's more traditional offerings. Again the dual vocals of David and Graham reverberate like one voice in perfect harmony, with well timed echoes. A cat's cradle of harmony, supports the delicate instrumentation. This song contains a heavy vibe and a central phased guitar riff that lends an air of darkness, fading to black around the percussive bass and guitar lick that like an ancient door swings to a close. The third track on the LP is a minute long etude called "Blacknotes" taken from a live CSNY performance at I believe the Fillmore East. It features Graham Nash banging on the "black notes" of the piano and encouraging the audience and listeners of the LP, "Sing along, write a song, and understand you can play". A precious little interlude that fits perfectly in the flow of the LP. Simple, melodic, and a unique addition to side one of the LP. Next, a perfect gleaming gem, that could only be written with the pop sensibilities of one Graham Nash. 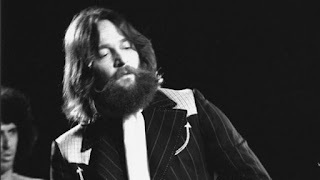 "Strangers Room" starts like many Nash songs of the era, with a piano and harmonica prelude, but then breaks through the dirt and leaves and stretches toward the sun during the chorus. The drums come in, and the harmonies swell into a radiant chorus that swirls around the swelling piano and organ duo. A questioning song about waking somewhere, that you never expected to be, and wondering where are you going to end up next. The first side of the record concludes with the two for one Crosby marriage of "Where Will I Be?/Page 43". "Where Will I Be" is a significant part of the Crosby catalog and it a quintessential example of his harmonic prowess and particular eurythmic abilities. The track features singularly picked guitar notes with Crosby's solitary rich baritone voice in support. The song is atmospheric and contains many moments of silence, based around orchestrated vocal melodies. Like many Crosby compositions (see "If I Could Only Remember My Name") the song revolves around wordless melodies and layered vocal strata. Spectral keyboards delicately play hide and seek under David's soulful delivery.The songs wordless "middle 8" moves like a regal renaissance era jester, cranking a tuneful hurdy gurdy. As soon as the last vocal line dissipates into the air, the record opens to "Page 43". A "do it yourself" song that plays like a guidebook to living, it is one of Crosby's most stirring melodies and enduring songs. The duo of "Where Will I Be/Page 43" is a room full of old friends, and loved ones, passing around a bottle of wine and remembering times that will never be relived again. Crosby's vocals a soothing reassuring storyteller, who's voice personally always makes me feel a hint of optimism no matter where I am in my life. An apt closing to the first side of the LP and as strong as anything that any of the members of CSN or Y ever created. You need to hear this "grown up lullaby" in its proper context and on vinyl. Side two opens with a perfect pop song who's melodic optimism belies the fact that its a scathing and angry view of a failed friendship. "Frozen Smiles" feels like its directed at one Stephen Stills, but obviously could be any number of recipients. The tune bounces along buoyantly driven by Nash's excitible harp playing, and his chunky rhythm playing. "I don't know if I'll break or only bend, You're supposed to be my friend" is an example of the questions Graham poses to the unknown subject of this song. The perfect introduction to the rest of side two, when the song exits the middle eight harp solo and returns to the verses on a Leland Sklar bass ascent it is goosebumps inspiring. 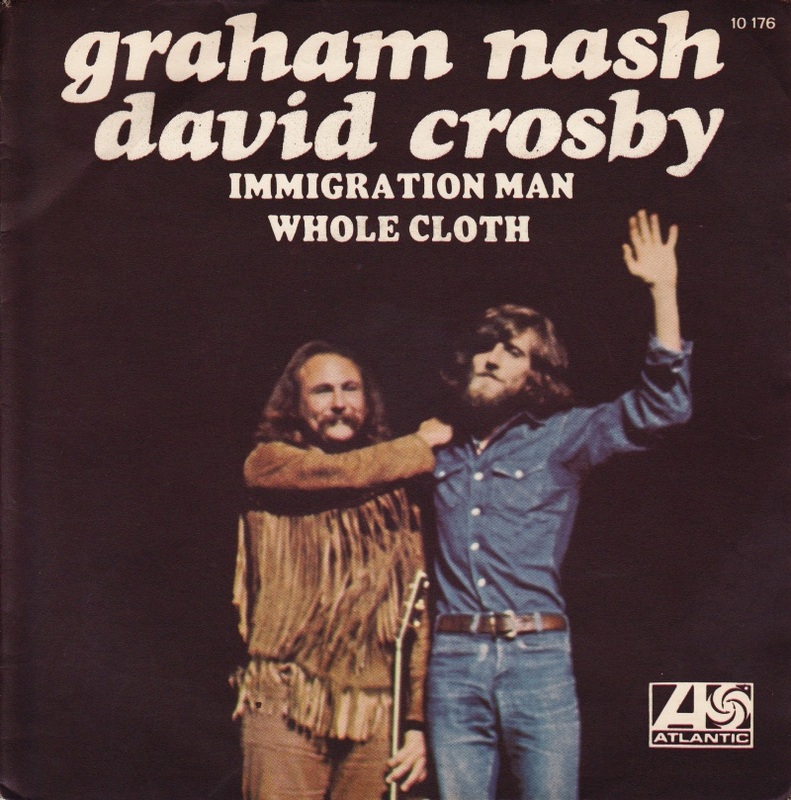 Similarly to the start of side one, Graham's bouncy opener is again followed by an eccentric Crosby track, "Games". Dealing with tricky folks and how "Games" effect the love and relationships shared by us all, the song hangs around unspoken, like a slightly shady secret kept from friends. Introduced by golden flaked acoustic guitar strums that gently perch along the precipice of crisp dancing drums. Again, an angelic sparkling piano forms the foundation for David's quirky melodic ideas.The chorus sprouts wings from Graham and David's angelic harmonies, and eventually soars into a vocal climax, before again settles into the floating verses. The next to last track on the LP is again in perfect contrast to the song which preceded it. "Girl to be On My Mind" is a colorful and glorious Graham Nash number. Developed around a gospel organ introduction and Danny Kortchmar's soulful filigree's that bring to mind a Curtis Mayfield track, the song is perfectly orchestrated and sounds "big". The Grateful Dead's rhythm section of Phil Lesh and Billy Kreutzmann, as well as guitarist Jerry Garcia join Crosby on "The Wall Song" which drips like a San Fransisco candle sitting in the afternoon sun. An instantly recognizable round and poppy Garcia riff propels the song forward, with Nash's raindrop piano and Crosby's jangling acoustic hanging the decorations. Phil and Billy K. swing kinetically, tight in their playing and loose in their relationship. The voices of Graham and David sing as one, tied into a harmonic strata, inseparable and perfect. Quintessentially Crosby, with its moody vibe, and dusky groove, "The Wall Song" is a period piece that when examined always offers something new. The song and lyrics are a complex stew of optimism, pessimism, and questions. When Crosby sings "What are lies? ", and Garcia follows, sliding his crisp honey dipped Stratocaster licks into the fade out, words are not needed, as the emotional content is peaking in the red. Before I can get a breath in, "Immigration Man" signals the close to the LP. Probably the most "well known" and radio friendly song on the album, its place as a concert staple to this day is a testament to its longevity. Despite its angry content, the song struts to a smile provoking melody and stomping groove. The chorus soars with the multilayered Crosby/Nash harmonies swelling and clean in their delivery. Chiming acoustics and tasteful guitar work by one David Mason are other highlights worth mentioning, in the instrumentation of this sometimes forgotten classic. 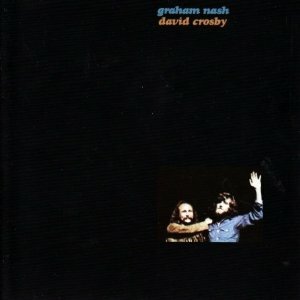 The 1972 LP Graham Nash/David Crosby is nestled in a time where both principals had found their voices both individually and collaboratively. The songwriting well was deep for the duo, cool, and clear as a mountain stream, percolating with ethereal melodies, and heavenly harmonies for a consistent period of time. With this record Crosby and Nash were no longer the little brothers to Neil Young and Stephen Stills, they were equal in all ways musically and in performance. I must admit I have a love affair with this record, and it never fails to deliver some sort of epiphany to my existence. I hope by writing this blog I keep some of these forgotten jewels relevant, so this album can deliver some sort of positive musical experience to your own life.